Home Entertainment	7 Most Weird Festival To Be Added In Your Wish List. After watching tomatina festival from there 7 more festival movie ZNMD, you must be waiting to enjoy that. So here are 10 more festival to be added the list. Yeah! I know most of you make those wish list and stuff. Also, after watching Zindagi Na Milegi Dobara (ZNMD), every one wants to enjoy that festival. But guys lemme tell you that is not the only festival to have fun at. Here I have the list of 7 other festivals to be added to your wish list. 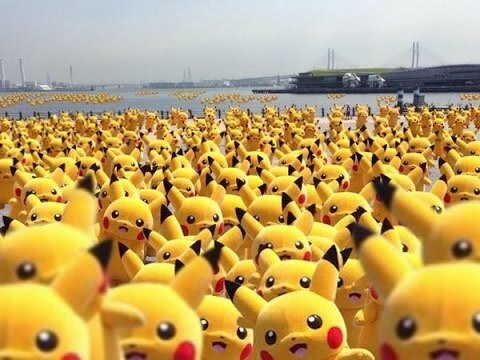 Pikachu is not just a famous cartoon character, but it was initiative taken by Japan to have a festival for same. I am sure this was one of the favorite cartoons for most of you. Over 1000 people dress up like him that day. If you love spirituality and craziness at the same time, then this festival is for you. This festival happens in America ans is a combination of art, freedom, and self-reliance. This is another fun festival. Here in winters people with heavy weights attached to their body with hooks walk for 10 hours. This festival is super fun. Every one is dressed like commando, trying to save themselves. It is super fun and a good time to spend. Here mud bath, mud games are enjoyed to the fullest. This is another festival to have fun with. And the favorite of all, tomatina festival. The tomatoes, squeezed well and hit on back. You enjoy to the fullest. These Zodiac signs look creepy as hell.